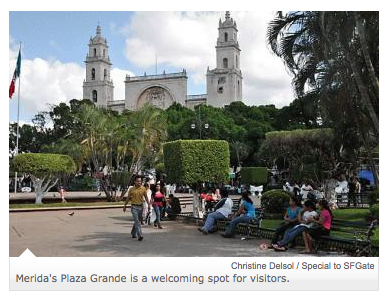 If you love México and haven’t been to Mérida, I bet you have been wanting to go. If you’ve been there, I bet you want to go back. It is a beautiful, friendly, and proud city that will capture your heart, I promise. Christine Delsol wrote recently in the SF Gate about Mérida in her article Maya Traditions Alive in México. If her article doesn’t convince you it’s time for a visit, look above where it says Reports By State and pick the Yucatán. After that you’ll be booking your tickets, I promise!